On 16-17 May 2019 Lisbon will be hosting the European Maritime Day, the annual meeting point of Europe's Maritime Policy Community. For further information and registration, please see the event website. During two days, on March 22nd and 23rd 2017, the city of Le Havre, Normandy, will host the second edition of the SEANERGY event dedicated to Marine Renewable Energy and Offshore Wind. Roadshow: Channel coastal and transitional water ecosystems, held in Caen (France) on Thursday 16 June 2016. The protection and enhancement of coastal and transitional water ecosystems is one of the five priorities of the France (Channel) England Programme. The aim of the event is to create opportunities of networking to generate project ideas and identify potential partners through meetings on different thematic. 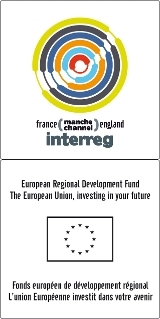 This Franco-British workshop is organised for education and training organisation in the field of MRE. It will provide an opportunity to exchange on the content of training courses and teaching methods, and to identify future co-operation opportunities. For more details and free registration, please click here.